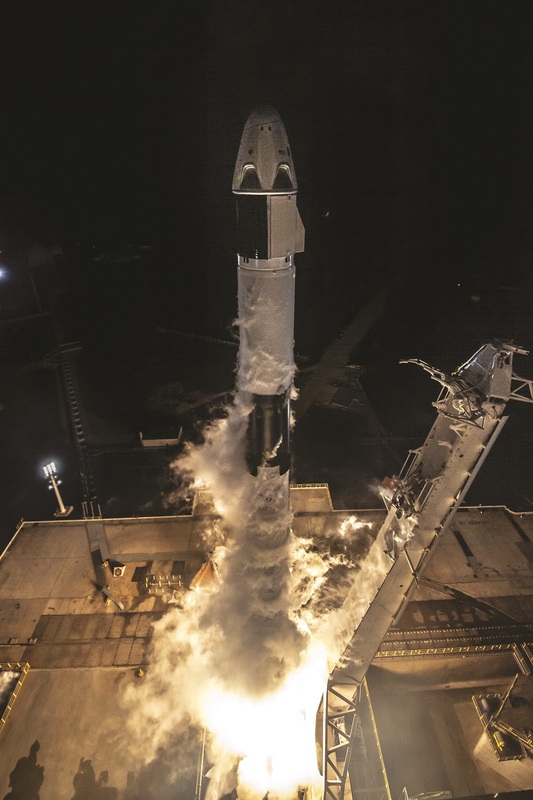 Among the thousands of spectators who watched the Falcon 9 launch of the first Crew Dragon spacecraft from the Kennedy Space Center in the early morning hours of March 2, few had greater interest in the mission than Bob Behnken and Doug Hurley. The two veteran NASA astronauts, with four shuttle flights between them, have for the last few years been part of the commercial crew program, working with Boeing and SpaceX on the design and operations of their vehicles. 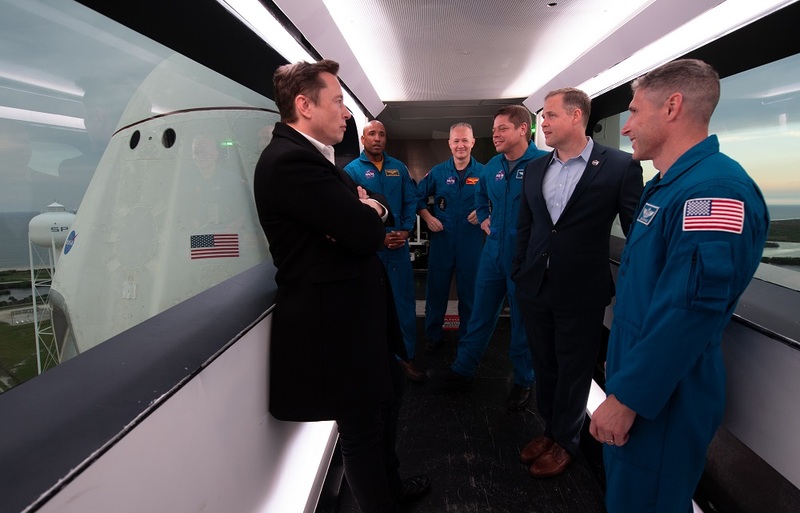 The two were particularly interested in this Demo-1 launch since they will be the crew of the next Crew Dragon mission, Demo-2, scheduled to take place as soon as July. The two followed the launch from a refurbished Apollo-era launch control center at KSC and then, 24 hours later, were at SpaceX’s mission control at its Hawthorne, California, headquarters to watch as the spacecraft approached, and docked with, the International Space Station. The two had to like what they saw. The Crew Dragon made it to orbit after a problem-free launch from KSC’s historic Launch Complex 39A. The spacecraft approached the station a day later, docking without incident with the station’s Harmony module about 15 minutes ahead of schedule. The Demo-1 mission ended March 8 with a successful undocking from the ISS followed, six hours later, by a splashdown in the Atlantic Ocean off the Florida coast, in view of SpaceX recovery ships. The final phases of the mission appeared to go as smoothly as the rest of the flight. “I can’t believe how well the whole mission has gone,” said Benji Reed, director of commercial crew mission management at SpaceX, in an interview on NASA TV shortly after splashdown. 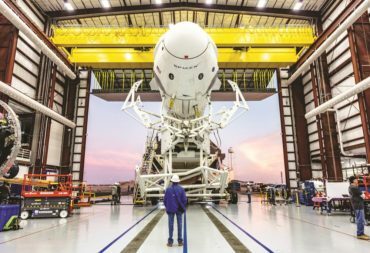 Even if the recovery and post-flight inspections go as smoothly as the launch and docking that doesn’t mean that Crew Dragon is ready for Behnken and Hurley to get on board. Even before the launch, NASA officials said there was already work identified before the Demo-1 flight that needed to get done before the agency would consider flying astronauts on board. “There are two drivers” for that additional work, Kathy Lueders, manager of NASA’s commercial crew program, said at a pre-launch briefing. One part of that work involves systems not needed for the Demo-1 mission because there isn’t a crew on board. The spacecraft, for example, didn’t have a full-scale life support system onboard but rather a scaled-down version intended to collect test data. Another system not needed for Demo-1 is the displays and interfaces astronauts flying the spacecraft would use. “You don’t need, obviously, crew interfaces unless Ripley is going to start flying the vehicle,” she said, referring to the mannequin on board the spacecraft equipped with instruments to measure the environment astronauts would experience on the spacecraft. Other work involves problems found during testing of the Demo-1 spacecraft that, while not enough to delay the launch, need to be corrected before Demo-2. “The second piece is the stuff that we found in the last six to nine months that, with the capsule basically done, we’re applying that learning to the Demo-2 vehicle,” she said. One such issue is with the Draco thrusters on Crew Dragon. During thermal vacuum testing of the spacecraft, engineers found that, in some circumstances, temperatures could get low enough to freeze propellant lines. “For the full environment that we were expecting this mission to be operating within, the Dracos didn’t like that environment. They weren’t operating that well in that environment,” Lueders said. The fix for Demo-1 was to constrain the mission design to make it unlikely the spacecraft could get cold enough for long enough for the lines to freeze. That required launching only on days when Crew Dragon could get to the station within a day of the launch. Had the March 2 launch been scrubbed for weather or technical reasons, the next launch window wasn’t until March 5. 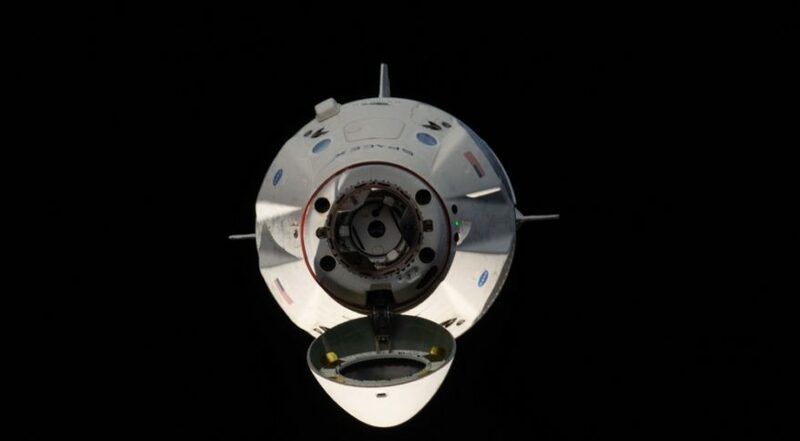 The permanent solution, to be implemented on Demo-2 and later Crew Dragon spacecraft, will be to install heaters on the propellant lines. 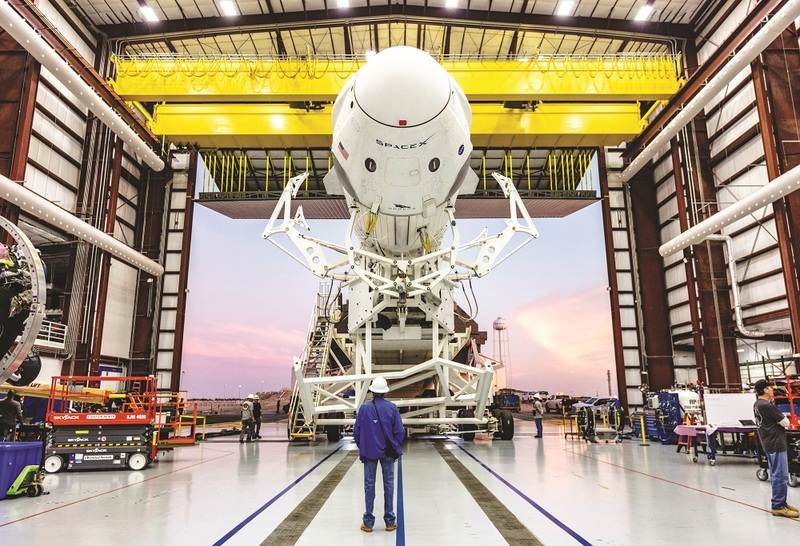 NASA’s latest public schedule for the commercial crew program calls for Demo-2 to take place no earlier than July, a month after an in-flight test of the Crew Dragon’s abort system, using the same capsule that flew on Demo-1. Koenigsmann said that, even if there changes that need to be made to the spacecraft, it may still be possible to fly the mission this summer. NASA officials, though, weren’t nearly as optimistic. While not giving any specific dates, they suggested that it could be later in the year before they’re willing to put NASA astronauts on Crew Dragon. 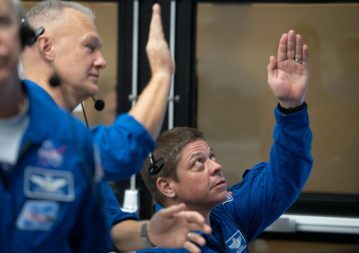 When NASA awarded commercial crew contracts in September 2014, the agency set a goal of having both Crew Dragon and Boeing’s CST-100 Starliner certified to carry people by the end of 2017, a date that had already slipped by two years from the original schedule NASA laid out for the program in 2010. Even with the success of Demo-1, there are lingering doubts that either company — Boeing’s test flights are a month behind SpaceX’s in NASA’s public schedule — will be certified by the end of 2019. Such delays are endemic to big NASA programs, from the James Webb Space Telescope to the Space Launch System and Orion. A complicating factor, though, is that NASA’s access to Soyuz seats runs out at the end of this year, jeopardizing its ability to maintain an American presence on the station. On Feb. 13, NASA issued a procurement notice that announced its intent to purchase two Soyuz seats from the Russian state space corporation Roscosmos. One seat would be on a mission in the fall of this year and the other in the spring of 2020, ensuring a presence on the station through next September regardless of the status of the commercial crew program. The seats became available, agency sources said, because Roscosmos wasn’t planning to fill out its complement of three station crewmembers given ongoing delays with the launch of new Russian modules. Another option that NASA announced it was studying last year is to turn the Starliner test flight into a long-duration mission of up to six months. (There are no plans to do with the Demo-2 mission, which will be docked to the station for no more than a month.) 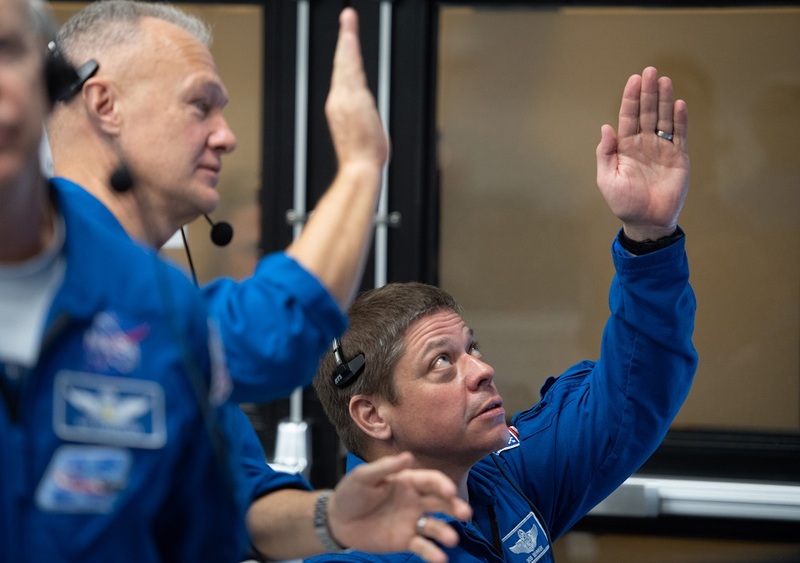 The three-person crew for that mission, which includes former NASA astronaut Chris Ferguson, who now works for Boeing, has been undergoing training for a long-term stay. But, with the Demo-1 mission now in the books, they’re almost ready.